Cape Town - Priority crime investigating unit the Hawks is probing at least four separate potential criminal matters related to alleged corruption at Transnet. The committee is meeting to probe corporate governance at the state-owned enterprise, as well as quiz the board as to why it didn't show up to give evidence at a previous committee meeting. Matakata said she did not at present want to give a report on these "state capture" investigations, implying that doing so would tip off some of the suspects. The earliest case, which dates from 2012, involves alleged tender bid price inflation for a R123m security tender. According to the Hawks' Brigadier Zama Basi, three bids were inflated. One tender bid was increased over 500% from R12m to R74m. Basi said this case was “96% finished”. 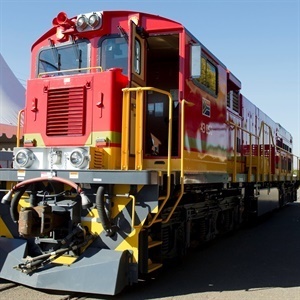 The second case involves a kickback of R430 000 a Transnet executive allegedly received for promoting the interest of a company he had a relationship with. This tender amounted to some R430m. “It is alleged the Transnet official received a kickback of R7m,” said Basi. He said that the search and seizure of documents, advocated by some MPs from the committee to speed things up, is a "last resort". “I am not getting a sense of anything being concluded,” said Godi, adding that the Hawks' response of “complex” is not sufficient to explain delays.